I found three poems that are attributed to Helen M Nightingale who worked as a nurse during World War One in a London Hospital. 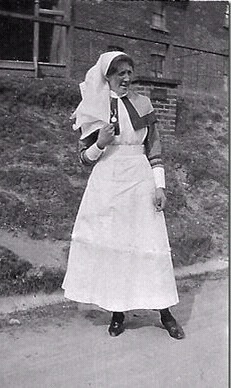 All that I have been able to find out about someone who must have been a very remarkable person both as a nurse caring for wounded service personnel and also as a poet is that she was Australian. Which makes the first of the poems very appropriate. And that as they say is that – so and this is a request to anyone out in the ‘blogosphere’ who can throw any light on or point me to where I can find out more about Helen M Nightingale – please let me know? And so to the first of the three poems.